Office Chat is back! 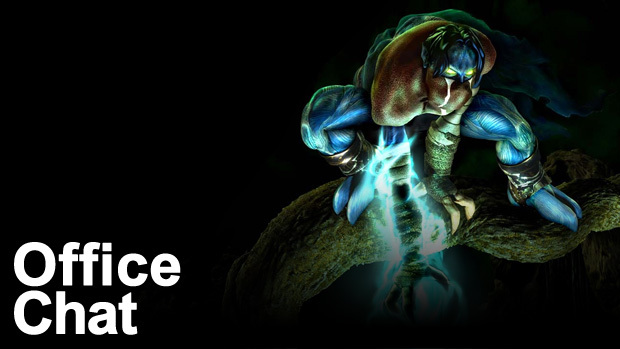 Seemingly, Soul Reaver is coming back as well and the gang talks a little bit about their memories of the Legacy of Kain series. Zynga's acquisition of Draw Something developer OMGPop leads Conrad to beg for more board game adaptations. And a discussion of a Dark Souls tease is interrupted by the invasion of a black phantom.